Karla Yunuen Magaña Marcial is a bryologist on a mission to solve a global puzzle. 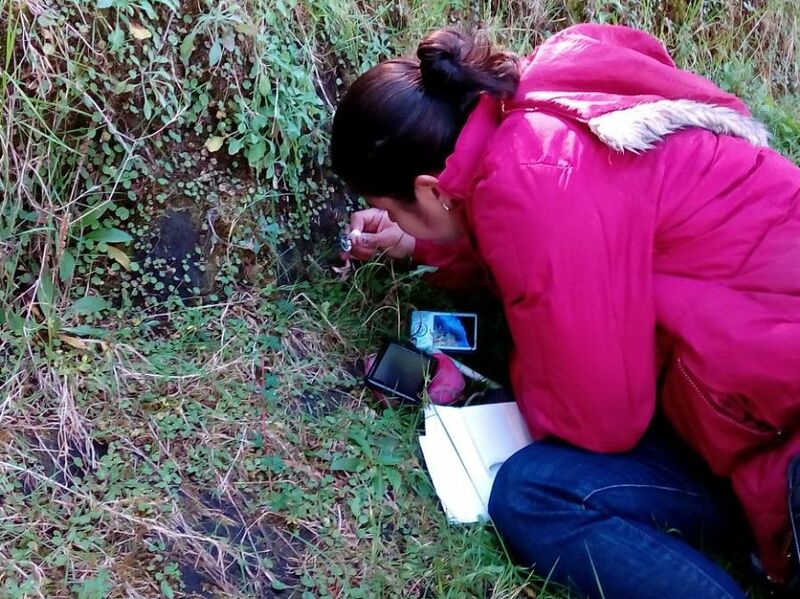 She is visiting the Botanics from her home institute, Michoacan University of Saint Nicholas of Hidalgo in Morelia, central México for help in understanding the species Targionia hypophylla. Targionia is a genus of thallose liverworts containing just three species. One species is found only in Argentina, another only in Ethiopia but T. hypophylla is found all over the world in a wide range of habitats from full sun to caves and even in running water. Because it is so widely spread both geographically and ecologically it has been given many names and often split into subspecies. Karla is using DNA sequencing of genes from the chloroplast genome (rpoC1, rps4, trnK-psbA) and the nuclear genome (ITS1-ITS2) to see if there is a correlation between genetic variability, morphology and geography. Working on a species with a global distribution can be difficult. You can’t visit every country to collect samples. Although Karla has been able to carry out some fieldwork herself she has received help from many other institutions and individuals. Some bryologists have made special trips to collect samples from their region for her. 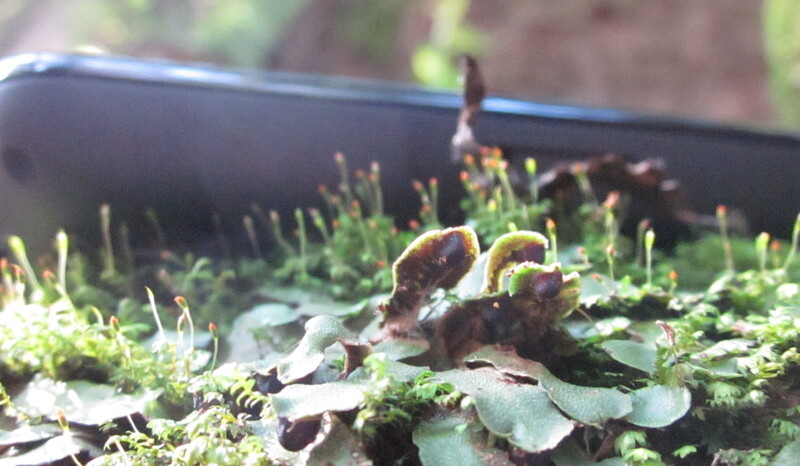 It is important to clarify if Targionia hypophylla is one species or many and how it has evolved. This will provide information to a better understand bryophyte population dynamics in a changing world. Karla presented her work to Science Research Club. This is a weekly internal meeting for staff, students and visiting scientists to share their work. Yes, a very interesting question as to how and when such species acquired such a distribution. Pteridium aquilinum agg. and Deschampsia cespitosa agg. are similarly widely distributed and perhaps useful comparisons, and also presumably other bryophytes, but I don’t know much about world bryophyte distributions. Phragmites australis, Chamaerion angustifolium and Lythrum salicaria are similarly widely distributed but with different cytotypes in different areas. If you’d like references do get in touch.